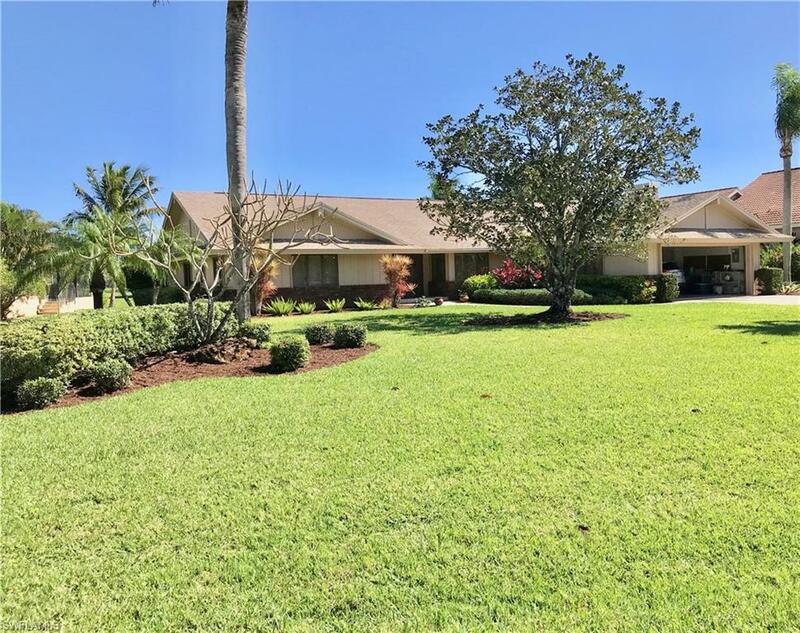 WONDERFUL 3 BR, 3 BA HEATED POOL HOME WITH THOMASVILLE CUSTOM WOOD CABINETRY, GRANITE COUNTERS, STAINLESS APPLIANCES, 2018 DISHWASHER, SINK & FIXTURES, BREAKFAST ROOM W/SUN TAMER PROTECTION ON WINDOW & FM SLIDER. PLANTATION SHUTTERS & ANDERSON WINDOWS! OTHER UPGRADES INCLUDE SENTRICON SYSTEM, REME HALO CLEAN AIR FILTER SYSTEM. GREAT ROOM WITH VAULTED BEAMED CEILINGS, FORMAL DINING ROOM OR OFFICE. FABULOUS LOT, LOVELY LANDSCAPING; ONE OF THE VERY BEST VIEWS OF THE 14TH, 15TH & 16TH ON THE BOBCAT GOLF COURSE, BRIDGE & LAKES & INCREDIBLE BIRDS!